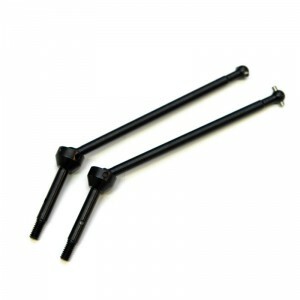 Universal driveshafts are typically an important and often the first upgrade for many racers and bashers, but for years manufactures have left their design and material of universal driveshafts to be relatively the same despite the drastic change of power source from brushed motor/NiCad batteries to now the more powerful Lipo battery/Brushless combination. At ST Racing Concepts we inspected all components of the traditional universals driveshaft and aim to improve in material and design. The material is critical and equally important is the heat treatment process. After months and months of prototype testing in different material and increments of heat treating, we believe we have developed a better finished product of this “standard” upgrade. For our design, we increase the diameter of the universal driveshaft bone for more durability against the power of today’s Lipo battery/Brushless motor combo, the heavier weight of short course truck, and larger diameter of short course truck tires. We also used the same carbon steel material for axles, which features two sets of universal pin holes so you can get twice the life out of the same set of axles. The universal joints and joint pins are of carbon steel material as well and the pins features a “step” for the setscrew to have a flat spot to more securely hold the universal driveshafts together. Lastly, even the universal shaft roll pin at the end was not over looked. Carbon steel at the pin although strong will unfortunately add excessive wear to the diff outdrives, thus a different material was selected just for the shaft pin for durability and ease of wear on the diff outdrives. 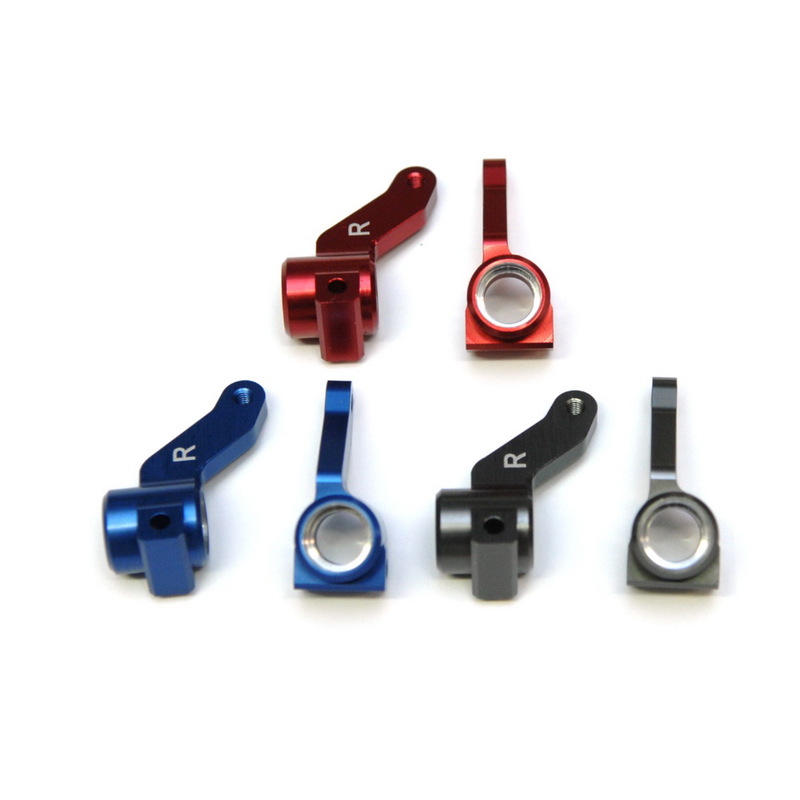 The ST Racing Concepts Universal kits are currently available for the popular Associated SC10 and HPI Blitz RTR owners. We also used the same carbon steel material for the STO21016 Hyper 10SC universal driveshafts as the kit universal material have long been a problem for Hyper 10SC owners. Coming soon: Slash 2WD universal kits.